Ask around, the lawyers and commissioners who know him will all tell you the same thing, John D'Elia doesn't back down from a fight. "When a lot of my clients come to see me, they are being bullied – by their employer, the lawyer on the other side of their case or an insurance company. I make sure that stops." John attended Trinity College on a Capital Area Scholarship and then went on to law school at UCONN. Soon after graduating, he went on to become a partner in the law firm that would come to be known as Kennedy Johnson D'Elia & Gillooly. If he is not standing up for you he is probably riding his bike across the country. No kidding! He is a two time participant in the Race Across America – a 3,000 mile bicycle race across the country – as well as countless other ultra cycling events. 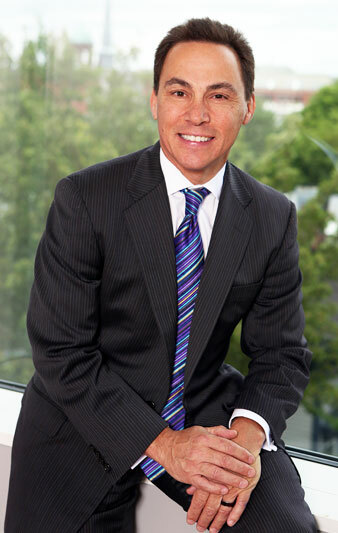 John is one of the best known workers' compensation lawyers in the state. He has argued workers' compensation cases before the Connecticut Supreme Court and Appellate Court and testified as an expert witness in the area of workers' compensation law. As a result he has built a large practice which takes him to compensation offices across the state and adds "a lot of miles to my car every year." "To me working is the most honorable thing a person can do – using their brains, talent and muscle to earn a living. Work is what gives us value, self-worth. That's why it is so tough when an injury takes it all away – your weekly wages, your security and your good feelings about yourself. Then your employer, or the insurance company makes it worse by threatening your job or your benefits. I am here to stop that all from happening – and to help you get your self-esteem back."